I recently had an epiphany that I am truly in love with where we live. Not just Colorado because our state is undeniably awesome with world-class skiing, hiking and vistas. But our little corner of Denver’s suburbs. Though I’m constantly vying to move to the mountains, I love our location in the city. We’re five minutes to each of the kids’ high-ranked schools, are a 15-minute jaunt to some of my favorite hiking trails in the foothills, are extremely close to a network of bike paths and open space parks, have beloved friends in a family-friendly neighborhood, are in an awesome ward, have Jamie’s brother and sister a few minutes away and live right above a huge sports complex that is the pulse of our community where they shoot off the Independence Day fireworks. 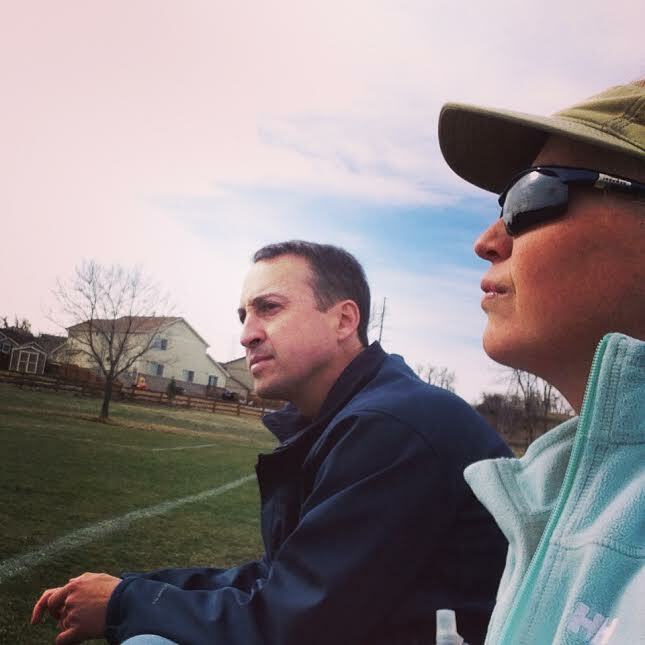 When Jamie and I were first married, we heard about our neighborhood that was under development and were excited when we were approved to build a house. Today marks our 10-year anniversary in our home. I still remember the day we took possession of it. Everything was squeaky-clean and untouched and I was really pregnant with Hadley. I had two thoughts: “We’ll never be able to fill all this space” (yeah, right) and “we will never be unhappy here.” One of these two is true. A couple of weeks ago, I was reminded how much I love our area when Bode had his first soccer game on these fields near our house. It felt so great to cheer his team on to victory. Not so great: the yelling soccer dad next to me. 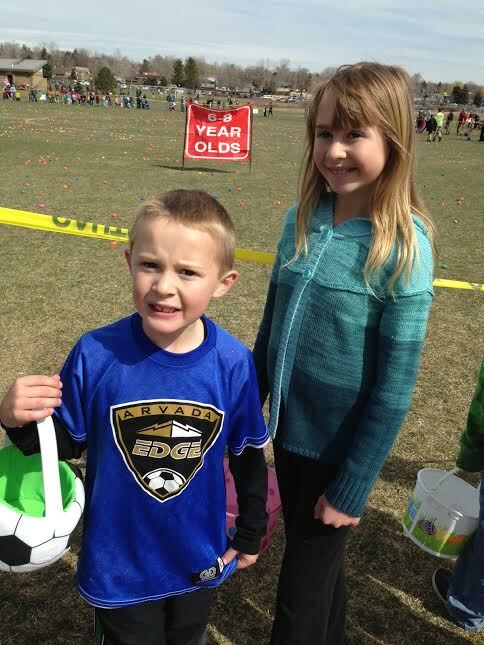 A couple of hours later, the kids and I walked down our hill to the community Easter egg hunt. Yes, Hadley is 9 years old. Don’t judge me (see the sign in the background). On Saturday and Sunday, it was our church’s semi-annual General Conference, which always means lot of food and inspiration (President Uchtdorf’s talk Grateful in any Circumstance was my favorite). 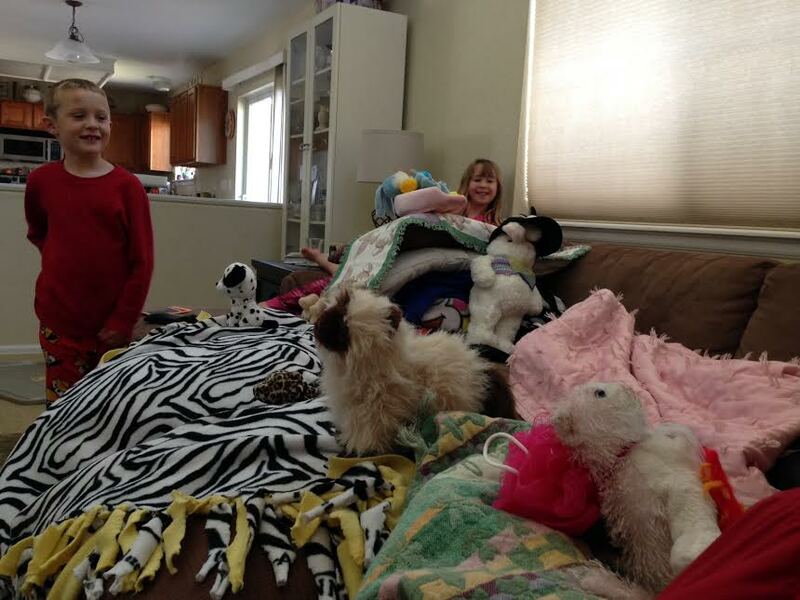 Conference always means lots of forts and messes. And I’m (kind of) grateful for them. We took a break in between sessions to watch the kite festival at our nearby fields. Our failures in kite-flying have been regularly documented (in Kites of Death and Let’s NOT Go Fly a Kite) but it was a really windy day. 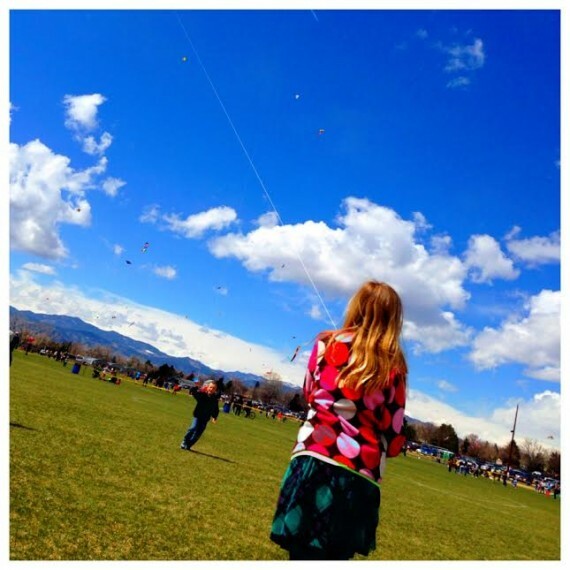 We spotted our neighbors and figured maybe-just-maybe this was our day to actually fly a kite! It was glorious to finally soar. I have been trying to be grateful for everything little thing and it has greatly helped my attitude and enthusiasm for life. Tired of the constant messes from the kids? Someday they’ll sadly be gone and so will those messes. Sore from boot camp? Be grateful you have a strong, healthy body. Overwhelmed with work? I’m so glad I have work opportunities. I even find myself being grateful we can buy the bulk bins of laundry detergent at Costco because there was a time after college I was scraping by to even do that.